Ah PAX. It’s loud, busy, and has way too many people per square foot but it’s fun all the same. After Friday’s panels and running around, I had seen most of what I had came to see. Both today and yesterday were mostly spent wandering around the grandiose expo halls and looking at the games and booths. After that I would basically work the Digipen Play Testing Booth for Douse and go home. I’m feeling pretty tired and burnt out, and I didn’t spend nearly as much time out on the floor as I did last year. Part of it is that I feel like I’m heading down the developer path so I’m becoming more interested in industry specific panels and talks, and less interested in waiting in line for 3 hours for a T-shirt. I did do that once this weekend for Borderlands 2, but it was worth it because the devs were there and I got to play the game. I’m feeling like I’m going to be putting my money more towards things like PAX Dev and GDC in the upcoming future. Well I tagged this with PAX, so I’m sure some of you are going to want to actually read about some awesome things that were going on. 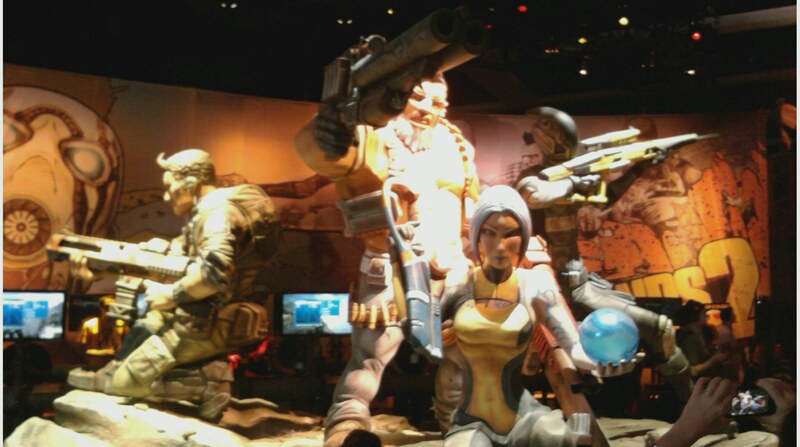 Well like I said earlier, Borderlands 2 was pretty awesome. The talk with the devs was interesting and the game demo was solid and entertaining. The wait was horrendous, but that’s to be expected. The indie game wing was phenomenal, with games like Anti-Chamber really showing the amazing potential for indie games these days. I got a pretty big kick out of some of the smaller DS game booths that had short lines and nice attendants. Finally, the atmosphere was pretty amazing as well. There was little kids running around with Minecraft swords and incredible cosplayers and just a general sense of wonder at all the incredible things they had on display. I thoroughly enjoyed PAX this year.